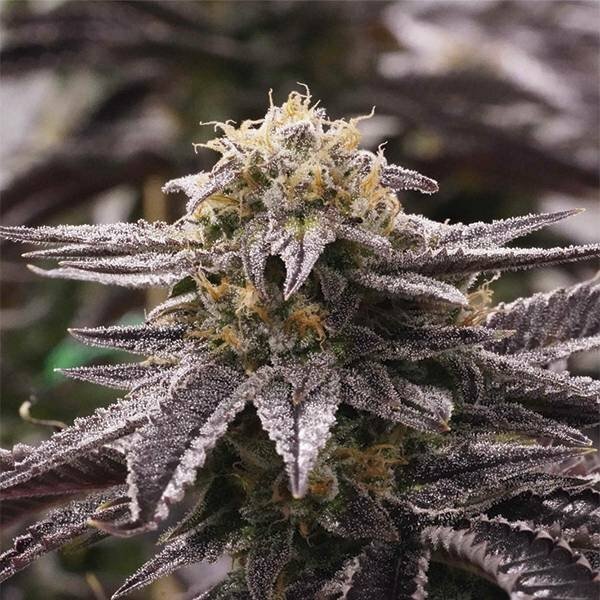 OGKZ by Humboldt Seeds is an indica-dominant cannabis strain (80% indica/20% sativa) that is very popular in the hills of Mendocino, California. You now have the opportunity to enjoy one of the most sought-after hybrid crosses from the US. OGKZ combines the famous Zkittlez with OGKB (OG Kush Breath), which are two hyped strains with nice bag appeal in their own right. The resulting strain oozes "a rainbow of flavours that keeps you wanting for more". Indoors, this strain will yield up to 400–500g/m² after a flowering phase of 60–65 days. Grown outdoors, OGKZ finishes in mid-October and produces a stunning 2000–3000g/plant. In nature, the plant can reach up to 3–4m in height. Humboldt Seeds recommends a longer veg time in the grow room. Ideally, OGKZ prefers to be grown in a greenhouse in dry, warm, temperate, and Mediterranean climates. The resin production of OGKZ is above-average, as is its THC content of 24%. The effect is powerful, long-lasting, and defined by a clear and cerebral high that is quite unique for an indica-dominant cultivar. The scent of this strain features notes of gas, sweetness, citrus, and cedar, while the intense flavour profile adds to this notes of pine, incense, grapes, and cinnamon. Divinely tasty!